You are driving/riding on the highway and traffic begins to slow and stop. While waiting dutifully in your lane for traffic to start moving again, someone on a motorcycle or scooter comes zooming by, in between the lanes, leaving a wave of frustration and envy in their wake. Now, there is a real reason why Lane-Splitting was first recognized as a viable option (and subsequently approved in one of the 50 States). The reason is that years ago, most motorcycle designs used air-cooled engines. These designs (which are still in use today), have exposed engines that have cooling fins on the cylinders which only worked effectively when there was airflow over the fins. In other words…you had to be moving. It was found that motorcycles sitting in traffic ran the risk of quickly overheating (to the point of the machine becoming damaged) and the only way for them to run without this risk was to allow the vehicle to keep moving (and keep that air flowing over the fins). OK, at least that was the argument at the time. You can make your own conclusions as to if that is an effective argument. Though, since it went 1 out of 50 in being effective at providing legislation…well…make your own conclusions. What I will say is that many motorcycle designs at the time absolutely suffered from the real danger of overheating in extremely slow and stopped traffic. This is not an opinion…it is an engineering fact. Now, given this information, are these arguments still valid today? Well, from a practical standpoint, not really. The vast majority of motorcycle designs today use water-cooled engines complete with radiators and fans. Even those motorcycles that are still air (or oil) cooled are built to more exacting tolerances and can run fine in very hot weather in very slow traffic. Case in point: One of my bikes is a Ducati Monster 1000. This has an air/oil cooled, very high performance engine and yes, I have used it many times during my 1 ½ to 2-hour commute into Manhattan with no overheating issues. The point is that while the original argument may have been valid (and I do stress the “may”…), today’s designs render most of these points moot. Yes, I do remember the days when this was the case…it was around the same time that some of us needed a screwdriver to jump the starter contacts to start a troublesome automobile. It also occurred around the time that we had to change our distributor points, occasionally bang the starter motor with a hammer, hold open the carburetor butterfly because the engine flooded and Pet Rocks were considered a good idea. So let’s cut through all the nonsense and tell it like it is (um…is my NY attitude showing…?). People aren’t Lane Splitting because it is an engine safety issue. They are doing it because it is a time saver. If you try to convince me otherwise, I will find your argument will have the same unintentional humor as when someone in shorts, no shirt, sandals, no helmet and no previous training tries to convince me that their bike has loud pipes because they are concerned about safety. From a time-saving standpoint, Lane-Splitting can seem like an attractive option. But since we already know that it isn’t legal (for the most part), is it safe? There are some very good reasons to do something that isn’t otherwise legal in the name of safety. A few scenarios that come to mind are, crossing a double-yellow line to avoid an obstacle, preceding through a red light to allow emergency vehicles to pass through or riding/driving a damaged machine on the shoulder. So, the real question is, is this a safe thing to do? The answer, as you can probably guess, is “No”. I have no intention of getting all preachy with you, but there are several reasons why you should know it isn’t safe. The first (and most obvious) is that other drivers can wander or switch lanes and cause you to crash. In the event of a crash while Lane-Splitting, understand that you will be sandwiched between the vehicles. There is no room to get away from the motorcycle or scooter and your injuries can be quite significant when you are essentially crushed between your machine and a car. Of course, this coincides with things drivers may do intentionally or unintentionally to make your life miserable. Aside from swerving to cut you off, people also have a nasty tendency of throwing things like cigarettes, drinks and other undesirable objects out of their window. The second (and less obvious reason) why Lane-Splitting is dangerous has to do with the actual road surface. Since this portion of the road was never intended for prolonged traffic, roads tend to have characteristics and objects on these parts that make for some lousy traction. The first is, of course, the lines. The paint used for traffic lines is very slippery. It is designed to be this way. Ever notice that the white and yellow lines are always bright and shiny? The reason is the paint is designed to be slippery so dirt, oil and grime can’t stick to it. The second reason is that generally, the seams of the road are routinely placed in these areas. This way, normal expansion and contraction with the weather doesn’t affect the intended driving surface. This also means that the road surface can be uneven on the seams. Finally, some highways have reflective markers set into the road at the painted lines to aid in night driving. Hitting these markers is at best, uncomfortable and at worst, can cause your tire to skip sideways and lose traction. So, with all of this said, we know Lane-Splitting is illegal, risky and should not be done. Of course, now comes the time where I throw a little twist into the mix! You should all understand what Lane –Splitting is and what the mechanics of it are. Yes, you read that right. You need to know what it is and how it works. Plain and simple, you have to understand that there is one time where this knowledge can save your life. In stop-and-go traffic, when performing a very hard stop or even while waiting at a light/stop sign, the space in between the cars in front of you can be your escape route in the event that the person behind you can’t stop in time. Getting rear-ended hard in traffic is a very real danger, especially since we are smaller and less obvious than the other traffic out there. Escaping between the cars in front can mean the difference of avoiding injury or being hit from behind and crushed between bumpers. Of course, we are not talking about continuing on afterwards, but the point is that you should be keeping an eye on that car or truck behind you and position yourself every time to use an escape route if necessary. Hopefully, this article cast some light on the issues concerning Lane-Splitting. Yes, it could save time, but that argument could be applied to riding at triple-digit speeds. Yes, it may have kept bikes from overheating, though the machines of today don’t suffer from the same engineering issues of those from 30+ years ago. Yes, you may think that you can manage the risk, though the other drivers and even the road itself is conspiring against you. We all make our own choices and as riders, we must manage our own risk. However, when the law, the environment, the other users and the liability all are staking the deck against you, perhaps saving that 10 minutes just isn’t worth it. Living in California, and being a rider, this is a highly misunderstood topic and your article definately points out some of the hazards associated with the practice. Just for reference, as I understand it, “lane splitting” is still illegal in California, but “lane sharing” is allowed. The difference is that “lane splitting” is defined as unsafe lane changing from one to the other lane while traveling. “Lane sharing” is sharing the same lane as other vehicles and not making frequent and “unsafe” lane changes. From a citation standpoint, it’s really up to the judgement of the observing officer as to which it is. As with anything to do with riding a motorcycle, it is not without associated risks. However, “lane sharing” can also mitigate other risks that are equally high without doing it. As a case in point, a few weeks ago, on my morning commute, I was entering the freeway from a side road and traffic was backed up onto the entrance ramp. This was highly unusual for this ramp. As I made my way through traffic “lane sharing”, there was approximately 10 miles of backup due to some overturned tanker trucks that were blocking 3 of four lanes. Mind you, my personal take on the practice is to go no more than 10 – 15 mph and only when traffic is stopped. This day, it took me about 1/2 hour to get through the traffic jam, but I talked to some of my friends that drove and it took them 3 hours to get through the same stretch. So, in my belief, it would have been much more dangerous to sit in stop and go traffic for 3 hours ( with the risks of being rear ended ) than it was to take it at a slow and careful speed and continue on “lane sharing”. As to the following statement ( at least in California ), this statement is not correct. Any driver convicted of intentionally causing injury by using their car in a manner to be threatening to a motorcyclist that is legally “lane sharing” can be, and some have been prosecuted for, a felony conviction of assault with a deadly weapon. Thanks for bringing this topic to light. “Living in California, and being a rider, this is a highly misunderstood topic and your article definately points out some of the hazards associated with the practice. The judgment call as you noted is precisely the reason why I didn’t embellish on the CA law. I know it quite well and have even referenced it in seminars but you are correct about it being the officer’s call. The point you bring up is addressed at the end of my article. Stop-&-Go traffic is one of the most dangerous places you can be on a bike…hence the reason I stated people should understand Land-Splitting as an escape route to avoid a crash. The only caveat to your conclusion is that you are doing the act legally and around drivers who (for the most part) are more aware of the practice. This is not the case in the other 49 States. Additionally, while you might feel you are safer, remember that you are essentially trading the risk of a hit from behind with the risk of a hit from the side. In most cases, traffic safety data shows that there is greater chance for injury from a moving hit to the side than there is from a slow speed hit from behind. Again, it is management and acceptance of personal risk. “As to the following statement ( at least in California ), this statement is not correct. Any driver convicted of intentionally causing injury by using their car in a manner to be threatening to a motorcyclist that is legally “lane sharing” can be, and some have been prosecuted for, a felony conviction of assault with a deadly weapon. In all states that I am aware of, using your vehicle in a threatening manner that could cause injury will carry the exact same penalties as you described. However, there are 2 issues at hand here. The first is I was describing the illegal act of Lane-Splitting (as per the other 49 States). This would apply to California if you were illegally changing lanes per the description you previously wrote. The second point is really the big one: Just how are you going to prove that the car next to you intentionally ran you off the road? In some cases (where there is swearing and cursing and hand gestures), you might be able to get other witnesses to validate your story. However, in the vast majority of cases, it would be almost impossible to prove. This combined with the fact that you are also committing an illegal act just makes your burden of proof even more insurmountable and essentially stacks the deck against you. “Thanks for bringing this topic to light. You are very welcome! There are more articles already set up for the future. Give a shout if there is something specific you would like to see. It appears that we share the same point(s) of view on “lane splitting”. Here in the “Republic of California” we often forget about how the “real” world looks outside of our borders. “They are doing it because it is a time saver.” There is no doubt about that, and in fact, I believe that is the reason California continues to keep it legal; it reduces congestion and helps to keep traffic flowing somewhat. It actually helps free up traffic. Land splitting should be legal. There would be less cars on the road. Great article once again! I absolutely cannot stand people who ride “between lanes” while the rest of the traffic is barely moving or standing still. This is one of the major occurances that give bikers a bad name. The general population thinks everyone who rides a motorcycle rides like that in traffic! While I agree with your stance and findings, my personal risk mgmt strategy makes use of lane splitting on a daily basis… now for almost 40 years and not one incident! I don’t believe this to be luck, but an outcome based on ‘understanding’ what I am doing and how I do it. I have a European background (and live in AU for the past 14 years), and used to drive in Italy and France, as well as Germany. Lane-splitting in Itally and France is the mere reason for riding two wheels! Bikes are small in width, handlebars moved inwards, mirrors not sticking out, some as low in width as 40cm! My 15km one-way to work takes 45+ minutes in a car, and 20 min flat on two wheels. A saving of 50 minutes per day, time I am actively using to pursue other things, such as learning to play the piano. Electric road signs in Australia display a message: Choose your speed, choose your fine! … which describes how — also based on a highly regulated society — the freedom to manage your own risk has been (almost been) taken away. This article was entertaining but poorly researched, Joe. You cite zero, and I mean zero scholarly evidence. Your story about air-cooled motorcycles being the reason why lane-splitting was “legalized” is urban legend (who made the argument? What year?). And this idea that riding near or on the center line is dangerous because the roadway isn’t designed for it is absurd. Cars and trucks drive within six inches of the lane divider all day long. Again, you cite no evidence, nor do you state your civil-engineering credentials: how do you know so much about roadway design? I have lane-split in California for 22 years and in that time I’ve only heard of no crashes like the doomsday scenario you conjure up, where a motorcycle is crushed between two parallel cars. Sure, bikes crash while lane-splitting, but there are ALWAYS other factors, like excessive speed, at play. Sure, lane-splitting reduces your space cushion, but going 10 mph between stopped traffic, or 15 mph in 5 mph traffic gives you plenty of time to SEE (search, evaluate, execute), unless you are so infirm and careless that you shouldn’t be driving anyway. I understand why you use anecdotes and speculation to prove your point, though: the actual evidence is not on your side. European studies (please see http://www.oregon.gov/ODOT/TD/TP_RES/docs/Reports/2010/Motorcycle_Lane_Sharing.pdf, which is a good literature review in spite of the fact it references your article) show lane-sharing was a factor in .5 to 5 percent of crashes, not even correcting for the fact that most multi-vehicle motorcycle crashes occur in times of heavy traffic, when motorcyclists are most likely to be lane-sharing. The facts are these: lane-sharing, where is is legal and when it is done in a prudent manner, is safe, promotes motorcycling and harms no one. Why anybody can be against it is beyond me. Why an advocate of our community and sport would be against it just makes me sad. Why he would use faulty reasoning, conjecture and urban legends to prove his point makes me want to vomit. Having ridden a bike as my primary transportation for nearly 50 yrs. in Calif., “lane sharing” is as much a part of my riding as using the brakes. It’s one of the main reasons I ride a bike/scooter (Burgman 650), and despite being an Old Fart (coming up on 68), I’m willing to take the risk. I’ve never had any mishap from this practice, and I think the data shows it’s safer than stopping behind a car, waiting to be rear-ended by the SUV behind me, while the driver is texting her Pizza Hut order. It saves me time, gas, wear on the brakes, and is a lot of fun, despite being pretty stressful. There are kids on crotch rockets who zip between rows of stopped cars as if there were no cars there, and one rarely hears of one of them coming in contact with a car. If you ride with great care, covering your brakes and horn (just in case), keeping your eyes open, high beams on, watching the drivers ahead of you, I think lane sharing can be done safely. Hey man, I was just browsing through the internet searching for some information on this and stumbled your blog. I am impressed by the info that you have here. It definitely shows how well you understand this. Bookmarked this page for further reading, will come back for more. I have been riding m/cycles for 71 years employed by the Post Master General as an express messenger and as a despatch rider in the Services and have been lane splitting all the time also on my personal machines with no mishaps BUT all my lane splitting has been done when traffic has been stationary at Stop Lights etc. which hurts no one except making the car drivers envious. I can not see how this can be deemed illegal. I do weave in an out of lanes with the appropriate indicator on to pass slower traffic but never between two moving vehicles.Just use common sense. Regards from Aus. Well, most people prefer riding a motorcycle to prevent heavy traffic situations. As a rider myself, always believe in safety measures therefore, protective gears are highly essential. You can purchase one on sites like http://www.motorcyclepartsangear.com. Thanks. A very interesting article and even more interesting responsive posts. I’ve been riding the streets and freeways of California for the last 36 years. I’ve lane split/lane shared in all of those years. The main reason is time savings. The traffic congestion in California’s streets and freeways is getting worse everyday. It feels to me that there are more and more cars and trucks out there than when I was a kid. As for the legalities, I’ve been told by veteran Highway Patrol officers that it is not illegal but that does not mean you can’t get a moving violation from it. I was advised that you can get a speeding ticket (moving faster than traffic and conditions); reckless driving and reckless endangerment and my least favorite showing off or exhibition of unsafe driving. All of these are of course up to the office to allege and for you to defend. Either way, if you are going to lane split, do it in as safe a manner as you can. I’ve also heard that years ago a bill was submitted to make lane splitting illegal, but that police officers we imune to this rule. California motorcyclist made sure that bill never became law. I had my 2009 Burgman EX in my shop proforming some maintance and upon completion I started it up to take it out side. I throttled like normal ,but when I released the throttle , it did not throttled down as if the throttle stuck.Hand off the throttle and clutching the brake ,trying to stop (front brake locked and tire leaving skid marks on the concret floor ) I plowed into the wall. of my shop. Engine running still I hit the kill switch. My bike had spun around pining my leg to the wall. Much to my surprise I didn’t know what happened . I called my dealer and asked if they know of any throttle problem and there answer was NO.After I recoverd from all the excitment , I got my bike on the center stand and started to check every thing over and access the damage , which manly was scraped paint and a busted front fender which was from impact. I started the bike and everything was normal . Throttle worked normal . I was examining everthing trying to determine what would have caused this problem , BINGO I saw it. The handle bar weights never seem to stay straight or in line with the handle bars , regardles how tight they are . They always seem to sage downward when riding . regardles how tight you make them. When there saging down , the weight will touch the throttle grip and cause the throttle to hang up and not close completly . To prevent this from happing again , I removed the weights from both ends , cleaned the rubber snubber and the inside of the handle bar with a degreaser , coated inside of the handle bar where the rubber touches and also the rubber on the weight with J B WELD and let it cure for at least 24 hours and tightened them up just a little more . The weights are now tight and do not move and remain straight . Some people remove the weights because they do not stay tight . The object of the weights is to lessen the vibration in the handle bars. I hope this artical may help someone and prevent an accident.I was fortunate , I walked away with a sprained ankle and some scraps. Thanks for the article. I live in Brooklyn, New York and have been riding for many years, I don’t lane split and never intend on doing it, I will wait patiently in traffic because the risk of lane splitting is not worth it. When I come to a stop I always position my Bike in the direction of an open area (escape route). Wow! 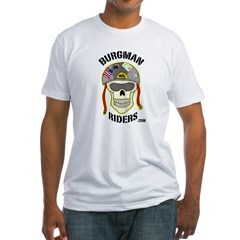 I’m really loving the design of this site http://burgmanriders.com/burgman-rider-columns/joe-aiello-motorcycle-pro-joe/703/motorcycle-pro-joe-on-lane-splitting. It’s simple, yet effective. A lot of times it’s hard to get that perfect balance between superb usability and appearance. I must say you have done a awesome job with this. Additionally, the blog loads very quick for me on Internet explorer. Exceptional site! I’m 68 yrs old and have been using a m/c or scooter as my primary means of transportation since 1960. Having grown up having to deal with L.A. traffic, a m/c was an obvious solution. You have to be careful, of course, I was once stopped by a cop and told what I was doing was dangerous, but not cited. And I often follow CHP and LAPD bikes as they whiz through traffic (although they go much faster than I ever would…) If it’s “dangerous,” why do they do it? One important reason that people have for riding a 2-wheeler, is to allow them to go between congested traffic. This is the reason that traffic cops ride m/c’s in the 1st place. And if they can do it, why can’t I? I’m 60 in December and have been riding nearly 50 years, passing my bike test at 16. I’ve lived in the UK and in France since 1993. I think lane sharing/splitting is a rather obvious technique for improving traffic flow in our congested cities, and have never understood people who sit on bikes for hours as if the machine was too narrow to pass between the large open corridors between the cars at standstill in front of them. I’ve been happily filing between the cars for over 40 years. In France, recently there was talk of making this practice illegal. In response to this, the French Federation of Motards en Colere (Angey Bikers) staged a demonstration. Their idea was that if our ‘hard of thinking’ legislators want to ban the practice, they are effectively treating a motorcycle as if it was a car. If that is so, the motorcycle is perfectly entitled to a car space in the lane, for itself, and if it’s restricted to ‘car rate of progress’ then it’s going to add one more unit of congestion. So the demo ran like this. 10,000 bikers hit te Boulevard Peripherique, the Paris ringroad, at rush hour. Eche bike took up a central position in its lane, and they stayed in formation, and drove at car speeds. No attempt was made by the bikers to lane filter. There was immediate chaos, as 10,000 car spaces more than normal were being used up! The car drivers got the picture, and so, incredibly, did the numbskulls who dreamed this foolishness up in the first place. Bikers aren’t sheep, we need to inform the fools in Gummint about the realities of traffic flow. Come on, it’s really simple! I’m really inspired along with your writing skills and also with the format to your weblog. Is this a paid subject or did you modify it yourself? Either way keep up the excellent high quality writing, it’s uncommon to look a great weblog like this one today..
Hi there, just turned into alert to your blog through Google, and found that it’s truly informative. I’m going to watch out for brussels. I will be grateful if you happen to proceed this in future. A lot of other folks will be benefited from your writing. Cheers! It’s appropriate time to make a few plans for the long run and it’s time to be happy. I have learn this publish and if I may I desire to suggest you some interesting things or advice. Maybe you could write subsequent articles referring to this article. I wish to learn even more things about it! Excellent post. I used to be checking continuously this blog and I’m inspired! Extremely useful info particularly the last part 🙂 I take care of such info much. I used to be looking for this particular info for a very long time. Thanks and good luck. hey there and thanks to your information ? I’ve definitely picked up anything new from right here. I did on the other hand experience a few technical issues using this website, since I experienced to reload the site many times previous to I may get it to load properly. I have been wondering in case your web hosting is OK? Now not that I’m complaining, but sluggish loading circumstances instances will sometimes have an effect on your placement in google and can injury your high-quality ranking if ads and marketing with Adwords. Well I’m adding this RSS to my e-mail and could look out for a lot extra of your respective interesting content. Ensure that you replace this again soon.. Magnificent items from you, man. I have keep in mind your stuff prior to and you are just extremely wonderful. I actually like what you have bought here, certainly like what you’re stating and the way in which wherein you assert it. You make it entertaining and you continue to care for to stay it wise. I can’t wait to read much more from you. This is actually a terrific web site. Pretty nice post. I simply stumbled upon your blog and wished to mention that I’ve truly enjoyed browsing your blog posts. After all I will be subscribing on your rss feed and I’m hoping you write again soon! I just like the helpful info you provide to your articles. I will bookmark your weblog and test again right here regularly. I’m somewhat sure I’ll learn many new stuff proper right here! Best of luck for the next! We are a group of volunteers and starting a brand new scheme in our community. Your site provided us with valuable info to paintings on. You have performed a formidable process and our entire neighborhood will likely be thankful to you. Hello There. I found your blog the usage of msn. This is a very neatly written article. I’ll make sure to bookmark it and return to read extra of your useful information. Thank you for the post. I will certainly comeback. I loved as much as you will receive carried out proper here. The comic strip is tasteful, your authored subject matter stylish. however, you command get got an edginess over that you would like be turning in the following. in poor health certainly come further formerly once more since exactly the same just about very often inside of case you defend this increase. Hello, i feel that i noticed you visited my site so i got here to return the prefer?.I’m attempting to find issues to enhance my web site!I suppose its adequate to make use of a few of your ideas!! Simply want to say your article is as surprising. The clarity for your publish is simply excellent and i can suppose you are an expert on this subject. Fine together with your permission let me to take hold of your RSS feed to keep updated with drawing close post. Thank you 1,000,000 and please continue the rewarding work. Its like you learn my mind! You seem to know a lot approximately this, like you wrote the e-book in it or something. I believe that you can do with a few p.c. to drive the message home a little bit, but instead of that, that is magnificent blog. A fantastic read. I will definitely be back. Thanks for the good writeup. It in reality was once a entertainment account it. Glance complex to more brought agreeable from you! However, how can we be in contact? Hey there, You have done a great job. I will definitely digg it and individually suggest to my friends. I’m sure they will be benefited from this website. I’m extremely impressed together with your writing abilities as neatly as with the format for your weblog. Is that this a paid subject or did you customize it yourself? Anyway keep up the nice quality writing, it is rare to look a nice weblog like this one these days.. Attractive part of content. I simply stumbled upon your website and in accession capital to assert that I acquire in fact loved account your blog posts. Any way I’ll be subscribing for your feeds and even I success you access consistently fast. My brother suggested I would possibly like this blog. He was once totally right. This publish actually made my day. You cann’t consider simply how a lot time I had spent for this info! Thank you! I do not even understand how I ended up right here, but I assumed this post was once good. I do not know who you might be but definitely you are going to a famous blogger in case you are not already. Cheers! Heya i’m for the primary time here. I came across this board and I to find It really helpful & it helped me out much. I’m hoping to provide something back and aid others like you aided me. I used to be recommended this blog by way of my cousin. I am now not sure whether or not this put up is written by him as no one else understand such distinct about my difficulty. You are incredible! Thank you! Wow, incredible weblog structure! How lengthy have you been blogging for? you make blogging glance easy. The entire look of your site is fantastic, as smartly as the content! I am now not certain the place you are getting your info, but good topic. I needs to spend a while learning more or figuring out more. Thank you for magnificent info I was in search of this information for my mission. You actually make it appear really easy with your presentation however I in finding this topic to be really one thing which I believe I would never understand. It kind of feels too complex and very huge for me. I am having a look forward on your subsequent submit, I will attempt to get the hang of it! I have been browsing online greater than 3 hours nowadays, yet I never discovered any fascinating article like yours. It is beautiful value enough for me. In my view, if all web owners and bloggers made just right content as you did, the internet will likely be a lot more useful than ever before. I do trust all of the concepts you have presented in your post. They’re very convincing and will certainly work. Still, the posts are too quick for starters. May just you please extend them a little from next time? Thank you for the post. I will right away grasp your rss as I can’t find your email subscription hyperlink or newsletter service. Do you have any? Please allow me recognize so that I may just subscribe. Thanks. A person necessarily lend a hand to make seriously posts I would state. That is the very first time I frequented your website page and to this point? I surprised with the analysis you made to make this actual submit incredible. Wonderful process! Fantastic site. A lot of useful info here. I’m sending it to several buddies ans also sharing in delicious. And of course, thank you for your effort! hello!,I really like your writing so a lot! percentage we communicate more approximately your article on AOL? I require an expert on this space to solve my problem. Maybe that is you! Having a look forward to look you. Amazing issues here. I am very satisfied to look your article. Thanks a lot and I’m taking a look forward to contact you. Will you kindly drop me a e-mail? You are actually a just right webmaster. The web site loading pace is incredible. It sort of feels that you’re doing any distinctive trick. Furthermore, The contents are masterwork. you have done a great job on this matter! Helpful information. Fortunate me I discovered your website unintentionally, and I’m surprised why this coincidence didn’t came about in advance! I bookmarked it. I’ve been exploring for a little for any high quality articles or blog posts in this sort of area . Exploring in Yahoo I eventually stumbled upon this site. Studying this info So i am glad to convey that I have a very good uncanny feeling I discovered just what I needed. I so much without a doubt will make certain to don?t fail to remember this website and provides it a glance regularly. Woah this blog is excellent i love studying your posts. Keep up the great work! You already know, a lot of people are searching around for this information, you could help them greatly. Thank you for any other great article. Where else could anyone get that type of information in such an ideal way of writing? I have a presentation subsequent week, and I am on the look for such info. It’s really a cool and useful piece of info. I am glad that you shared this useful info with us. Please stay us up to date like this. Thank you for sharing. Magnificent submit, very informative. I ponder why the opposite experts of this sector don’t understand this. You must continue your writing. I’m sure, you have a huge readers’ base already!|What’s Going down i am new to this, I stumbled upon this I have discovered It absolutely helpful and it has aided me out loads. I hope to contribute & assist different users like its helped me. Great job. Thanks , I have just been searching for information about this subject for a while and yours is the best I have came upon so far. However, what concerning the bottom line? Are you sure concerning the source?|What i don’t understood is in reality how you are no longer actually a lot more smartly-preferred than you might be now. You are so intelligent. You understand thus significantly on the subject of this matter, made me in my view imagine it from numerous numerous angles. Its like men and women don’t seem to be interested until it is one thing to do with Girl gaga! Your personal stuffs great. All the time handle it up! Generally I don’t learn article on blogs, but I would like to say that this write-up very forced me to check out and do so! Your writing taste has been amazed me. Thanks, quite great article. Hello my family member! I want to say that this post is awesome, nice written and come with almost all vital infos. I would like to peer extra posts like this . naturally like your web-site but you need to check the spelling on several of your posts. Several of them are rife with spelling problems and I in finding it very bothersome to tell the truth on the other hand I’ll definitely come back again. Hi, Neat post. There’s a problem with your web site in internet explorer, would test this? IE still is the marketplace leader and a huge component of other people will pass over your wonderful writing because of this problem. I’ve learn several just right stuff here. Certainly value bookmarking for revisiting. I wonder how a lot attempt you put to make one of these wonderful informative web site. Good day very nice web site!! Guy .. Excellent .. Wonderful .. I’ll bookmark your blog and take the feeds also?I am satisfied to find numerous helpful info here within the post, we need develop more strategies in this regard, thank you for sharing. . . . . .
It’s actually a great and useful piece of information. I’m satisfied that you just shared this useful info with us. Please stay us up to date like this. Thanks for sharing. Wonderful issues altogether, you just gained a brand new reader. What may you suggest about your post that you just made a few days in the past? Any certain? Thank you for some other informative site. The place else could I am getting that type of info written in such a perfect way? I have a undertaking that I’m simply now running on, and I have been at the glance out for such info. Hi there, I found your blog by way of Google while searching for a comparable topic, your website got here up, it appears good. I have added to favourites|added to my bookmarks. My brother suggested I may like this web site. He was once entirely right. This publish truly made my day. You cann’t imagine just how so much time I had spent for this info! Thank you!